Robert Fischer, 72, accidentally got his right leg got caught in the machine; his son was able to free him, according to officials. 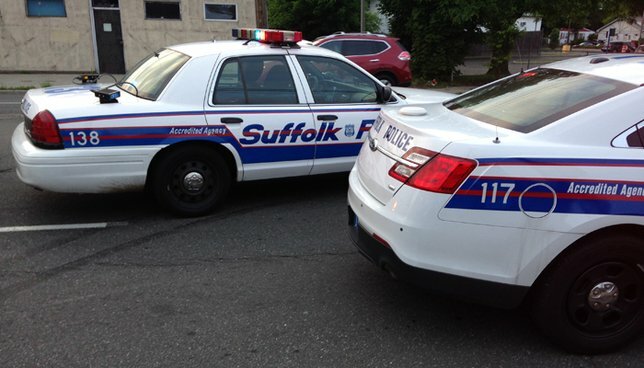 SCPD are investigating an incident during which a man suffered a partial leg amputation from an accident in West Babylon on Sunday, June 25. West Babylon, NY - June 26, 2017 - Suffolk County Police First Squad detectives are investigating an incident during which a man suffered a partial leg amputation after his leg was caught in a wood chipper in West Babylon on Sunday, June 25, 2017 at approximately 11:55 a.m.
Robert Fischer was operating a wood chipper outside of a house located on 15th St. when his right leg got caught in the machine at approximately 11:55 a.m. Fischer’s son, Richard, was able to free his father from the machine. Fischer, 72, of West Babylon, was transported by East Farmingdale Fire Department to Good Samaritan Hospital Medical Center in West Islip. The equipment was impounded for a safety check and OSHA was notified of the incident. Subject: LongIsland.com - Your Name sent you Article details of "Police Report Man’s Leg Partially Amputated in West Babylon Wood Chipper Accident"